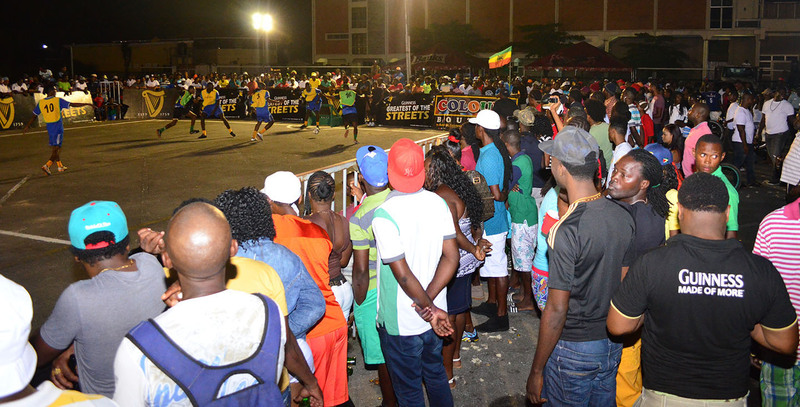 It will be Linden versus Georgetown in the semi-final round today as Sparta Boss will oppose Wisroc and Channel-9 Warriors will tackle Team 25 following opening night wins on Wednesday in the Guinness ‘Greatest of the Streets’ National Championship. Divided into two groups of four at the National Cultural Centre Tarmac, every win during normal time was worth three points while a victory via penalty kicks was valued at two points. Also, each team that lost via a penalty shootout also received a point. Sparta Boss sealed their berth to the final four stage, topping group-B with six points following wins over Stewartville Gunners and Beterverwagting (BV)-B respectively. The Georgetown unit defeated Stewartville 4-1 compliments of goals from Gregory Richardson, Dennis Edwards, Sheldon Shepherd and Roberto Osbourne in the third, ninth, 11th and 14th minutes each. On target in the loss was Dwayne Charles in the 17th minute. In their second matchup, Sparta Boss dismissed BV-B 4-0 through doubles from Devon Millington in the 11th and 12th minute and Richardson in the 13th and 14th minute. On the other hand, Wisroc sealed their place in the next round from group-A with five points after downing North Ruimveldt and Showstoppers. The Linden unit edged North Ruimveldt 5-4 on sudden death kicks after normal time ended 1-1. Clarence Huggins scored for the Lindeners in the 15th minute while Travis Grant equalized in the 20th minute. In their second matchup, Wisroc downed Showstoppers 1-0 compliments of a Clarence Huggins 20th -minute conversion. Meanwhile, group-A winners with six points Channel-9 Warriors downed Showstoppers 2-0 through goals from Kemo Lawrence and Dennis Edwards in the sixth and 13th minutes apiece. 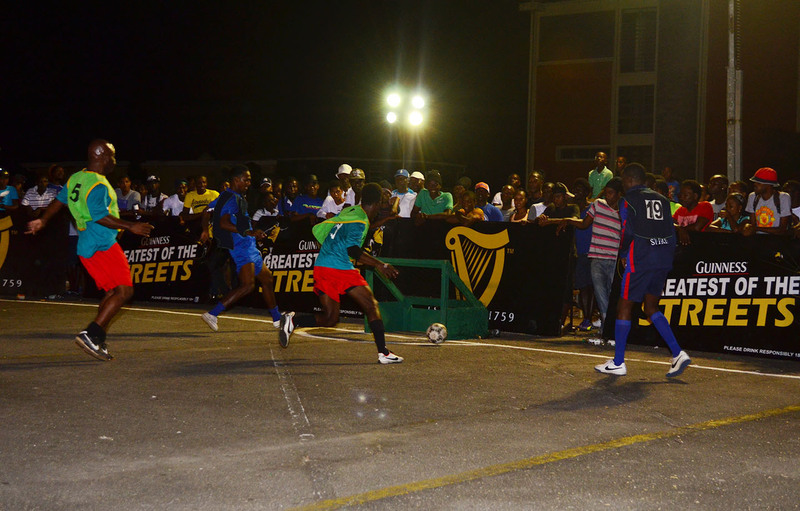 In their second fixture, the East Ruimveldt unit crushed Showstoppers by the identical margin as Joshua Fiffee and Lawrence scored in the fourth and seventh minutes correspondingly. On the other hand, group-B runners-up with five points Team 25, defeated BV-B and Stewartville Gunners. The Linden unit edged BV-B 3-2 on penalty kicks after normal time ended 1-1. Stephen Miller scored in the second minute for the East Coast of Demerara unit while Collie Hercules netted in the 17th minute. Similarly, Team 25 downed Stewartville 2-0 compliments of goals from Quacey Johnson and Keron Smith in the second and 20th minute respectively. Winner of the event will receive $400,000 and the championship trophy. The team will also earn the right to represent the nation at the Caribbean Championship slated to be held in St. Lucia during the month of July. Also, the runners-up will collect $150,000 and the respective trophy while the third and fourth-placed side will pocket $100,000 and $50,000 correspondingly and the respective accolade. Prior to the start of the event, the ceremonial kickoff was done by Banks DIH Limited Outdoor Events Manager Mortimer Stewart.